You play as ship commander controlling 3 different battle ships on intense battle. 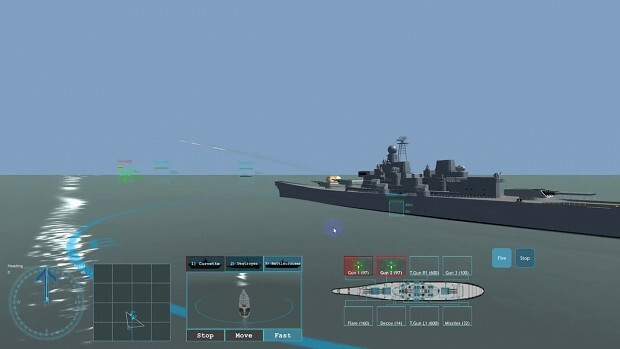 Unlike other strategic game that mostly focus on economy to build an army, this game apparently offers what actually happen on real modern naval war. Everything in this game is based on current technology/application, i.e. how you navigate the ocean, how you detect the targets, how you engage a targets and how you avoid such kind of attack from your enemy. Complete with its Warning System and Countermeasure, just like the way its work, which apparently hard to seen on any similar games that exist on the market. This game is a challenge how far I can go with my ability developing such complex game but easy to play by any audiences.